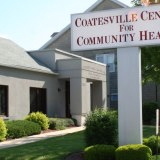 The Coatesville Center for Community Health is involved in two upcoming programs to improve residents’ well-being. Two new free programs in Coatesville are designed to improve the health of mind and body. On Wednesday, May 22, the Coatesville Center for Community Health, 1001 E. Lincoln Highway, will host a Free Women’s Health Event from 10 a.m. to noon. The event will include free food and gifts as well as presentations on wide-ranging topics by multiple organizations, including Community Dental, ChesPenn Health Services, the Domestic Violence Center, Planned Parenthood, Healthy Start and WIC. Get tips from growing your own garden to coping with stress. Another program promising better health will begin on Wednesday, May 29. “EatFresh Coatesville” will focus on the importance of good nutrition. A collaborative effort of ChesPenn Health Services, the Maternal and Child Health Consortium of Chester County, the Coatesville Center for Community Health and the Chester County Food Bank, this program will run through Oct. 30. EatFresh participants who commit to attending monthly cooking classes and undergoing basic health screenings to track progress will receive a weekly delivery of fresh produce for pick-up every Wednesday from 3 to 5 p.m. at the Brandywine Health Center. The hands-on culinary classes, which will provide a collection of eatFresh recipes and nutritional information, will be held Wednesday evenings from 5:30 to 7:30 on May 29, June 26, July 31, Aug. 28, Sept. 25 and Oct. 30, also at the health center. For registration information, contact Mike Barnard at ChesPenn Health Services, 610-380-4660, ext. 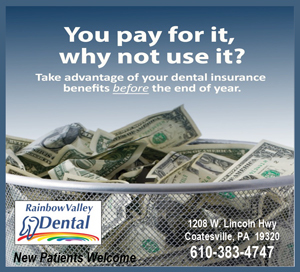 451; or Kathryn Spurlock at the Coatesville Center for Community Health, 610-383-4612.